From Sept. 22 to 24, a two-block stretch of Warren Avenue on the Wayne State University campus will showcase innovative design ideas to transform the busy boulevard into a walkable, bikeable, transit- and retail-friendly corridor. The Walkable Warren initiative is led by Wayne State’s Office of Economic Development in partnership with numerous other campus departments and the City of Detroit. Through creative yet practical streetscape improvements — such as painted bike lanes, pedestrian bump-outs and shortened crosswalks — Wayne State hopes to re-imagine Warren’s long-term design as a safe, active and vibrant corridor. The project will also feature a food truck rally, a pop-up market, sidewalk seating and entertainment, and other activities. Walkable Warren will involve local designers; Wayne State students, staff, and faculty; and the broader community. Prototypes and ideas generated during the demonstration will inform Wayne State’s next master plan. The demonstration is also intended to inform future streetscape changes planned as part of the City of Detroit’s federally funded plan for safety improvements along a five-mile stretch of Warren and the Woodbridge Neighborhood Development Corporation’s Walk Woodbridge initiative. Volunteers are invited to pick up a paint brush, bring design ideas and help with project setup throughout the weekend. To volunteer or for more information, visit go.wayne.edu/walkable-warren. Walkable Warren is an official part of the 2016 Detroit Design Festival program, taking place Sept. 21-25. In honor of Detroit’s recent UNESCO City of Design designation, this year’s festival is focused on Designing Detroit’s Future. For a full schedule, visit detroitdesignfestival.com. The Office of Economic Development leads Wayne State University’s efforts to catalyze business activity and promote a vibrant Midtown Detroit. We are a hub and a convener. 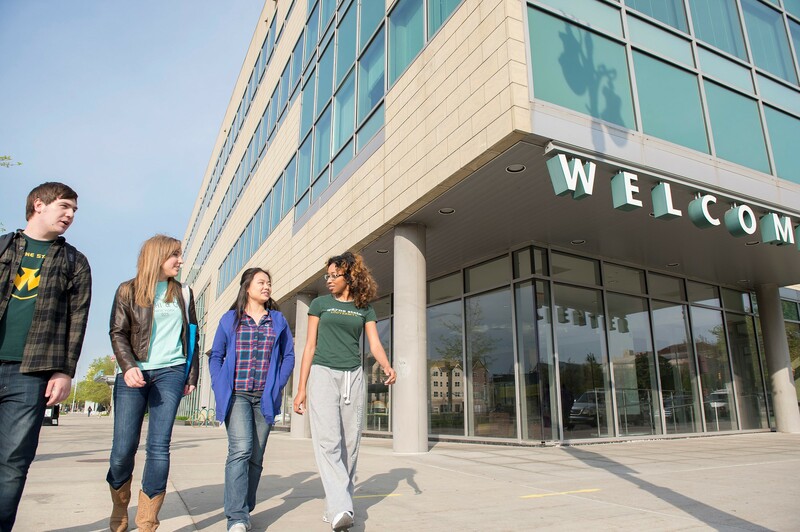 We work across the university to leverage Wayne State’s assets — our talent, our research and technology, our facilities and services, and our real estate — to stimulate growth and strengthen Midtown and neighborhoods across the city.